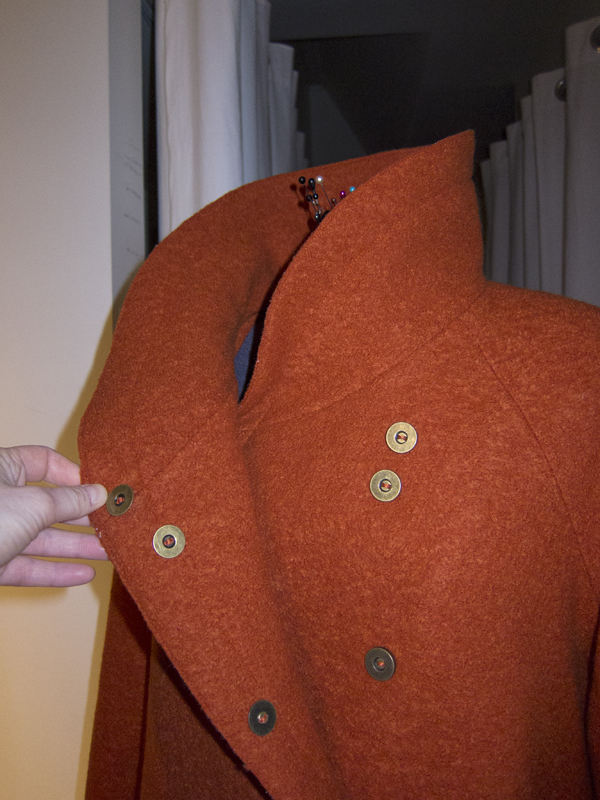 I finished my Burda 8017 winter coat and I love the final result. I should be posting picture of me wearing really soon. Today, is a fun day designing a dress that will be done in wool jersey. It is inspired of those two wonderful Marie Saint-Pierre creations. 2) this dress part of the Spring 2012 collection. It will be cut in the next hour or so. ahhh pleasure in creating the clothes I want !! Bravo pour ton manteau achevé ! J'ai vraiment hâte de le voir porté. Your coat looks fabulous I look forward to seeing more photos. What are the closeurs, magnets? Yes Ruth, those a magnet closures from Prym. I think they sell them for purses. I like them very much. They give a nice look to the coat. From the little I see it is a beautiful coat. I am looking forward to seeing more photographs. I love the colour.